In a report released yesterday, Rupesh Parikh from Oppenheimer maintained a Hold rating on United Natural Foods (UNFI). The company’s shares closed yesterday at $19.73, close to its 52-week low of $19.41. According to TipRanks.com, Parikh is a 5-star analyst with an average return of 15.6% and a 61.3% success rate. Parikh covers the Services sector, focusing on stocks such as Blue Apron Holdings Inc, Wal-Mart Stores Inc, and Ulta Beauty Inc. Currently, the analyst consensus on United Natural Foods is a Hold with an average price target of $28.17, which is a 42.8% upside from current levels. In a report issued on November 28, Cleveland Research also maintained a Hold rating on the stock. Based on United Natural Foods’ latest earnings release for the quarter ending July 31, the company reported a quarterly net profit of $32.79 million. In comparison, last year the company had a net profit of $30.51 million. Based on the recent corporate insider activity of 55 insiders, corporate insider sentiment is negative on the stock. 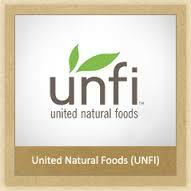 United Natural Foods, Inc. engages in the distribution of natural, organic, and specialty foods and non-food products. It operates through the Wholesale and Other segment. The Wholesale segment distributes nutritional supplements, personal care items and organic products. The Others segment includes the sale other activities of the firm.